NOTE: somehow this post got lost - I wrote it about a year and a half-ago (back in 2010), but forgot to click the "publish" button. For my birthday this year, my sister and brother-in-law gave me a vintage pachinko machine which they had discovered at a yard sale. If you don't know what pachinko is, you can read more about it on Wikipedia. Although I've been to Japan twice and I have seen lots of pachinko parlors from the outside, I had never actually ventured into one and I had never seen an actual pachinko machine until now. It's a pretty interesting mechanical device. It's totally "gravity powered", meaning it requires no batteries. A series of levers, ramps, and pressure plates are all that control the inner workings of the machine. It does have two lights that can be battery powered (one for signaling the machine is out of balls and one which turns on during a payout), but the lights are totally optional as far as actual gameplay. 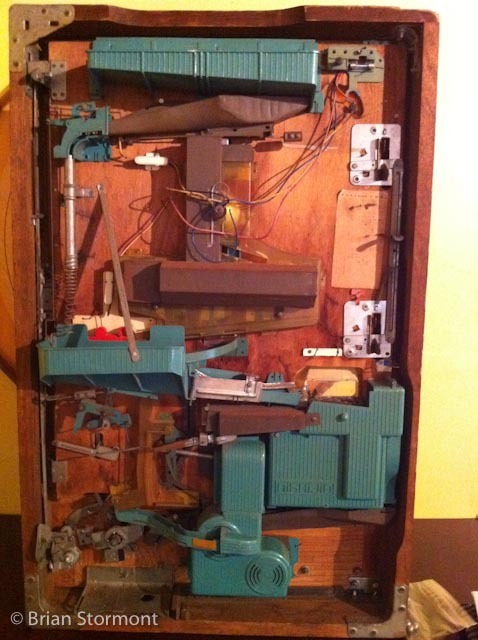 The machine I have was manufactured by Nishijin, in Tokyo, Japan in the early 1970s. 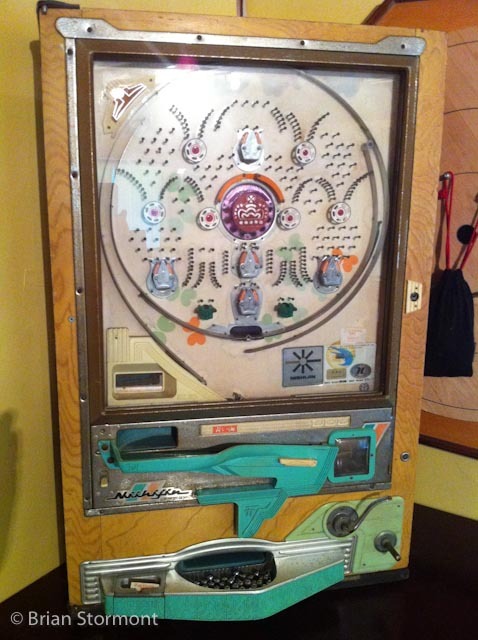 Nishijin manufactured many different style machines, and this one is known as a model A, or recycler model. It had a unique feature of "recycling" the losing balls into the payout pool so the machine didn't have to be refilled with balls as frequently as other models. In order to give you an idea of how the machine works, here a few videos of it in operation.